"I've started receiving inbound inquiries even before launching my business website"
The software is very easy to set up. You just need to register and paste JS code on the website (in my case I've used Wordpress plugin). I run a new bridal gowns brand and basically look for any girls that want to look beautiful and comfortable on their wedding day. We haven't officially launched yet, but we have some visitors on our 'coming soon' website. Before we started using LiveCall nobody contacted us. Since we've started offering free callback in 25 seconds I receive inbound sales calls every day. Potential customers ask me about my product and are able to schedule their visits in the atelier. In most cases, they are really surprised that I was able to call them back that quickly, which make the conversation easier. I really like LiveCall because it brings sales and I don't need to use any additional tools. In my situation (I'm the owner and designer of dresses) this helps a lot because I'm able to focus on what is most important - making beautiful dresses. I'd love if the reports were more detailed. Also the dashboard is a bit outdated. More incoming sales calls from potential customers. Higher conversion rate from call to scheduled meeting in my bridal salon. "Best software for customer service!" It shows the "human face" of the company. People still want to talk, before they make their purchase. Especially if the product is premium and in many cases requires customization. People like this communication channel, because it is very quick and convenient. It also increases conversions - both online purchases and inbound sales inquiries. Since we have installed LiveCall and started offering immediate callbacks, we see around 40% increase in our lead generation process. It is dependant on the traffic that we are able to generate on our website. 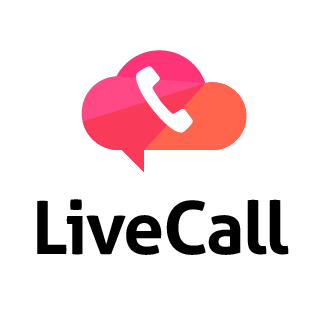 If we could pay more to receive more hot leads from LiveCall, we'd be happy to do so. Additionally, think if your customer may have any questions before buying. In many cases, it is complicated and needs an explanation from your sales specialist, because it increases chances for purchase significantly. When a customer is hesitant you need to give him a strong signal, that he should contact you and make it easy for him as much as possible. LiveCall is perfect for that. Shortening lead response time. Usually, companies do not realize how important it is and follow up business opportunities in 30 minutes, an hour or even days. This is so bad that potential customers who visit our online shop don't believe, that we are able to call them back in 25 seconds. They are used to typical lead generation campaigns. When we call them they are positively surprised and from the start, we are perceived as professionals and trustworthy. This makes real 'WOW effect' which is unreachable with other customer success solutions. With Livecall we started receiving around 50% more calls than before. That plugin is a new type of customer support approach. I like Livecall also as a lead capture. The website visitors very often are curious about the promise of calling them back in 25 seconds so they trying to test that plugin. That's a good way to get high-quality leads. Moreover, once you talk with them through the phone it's easier to build trust and close the deal. If you care about customers service - that plugin is must have for your business! The only cons: their backend is not very intuitive. If you work in a call center suggest this software to the operations manager, You will build trust and gain better customer relationships with them through the phone . When I need to talk to prospective customers over the phone before they buy LiveCall is a great solution. It's like live chat but with audio conversations vs. typing. "Simple solution to engage visitors"
Simplicity and ability to implement most features within couple of minutes. Little to no training required. "Filters" such as exit intent are somewhat basic at this stage. We have not tried the enterprise version yet but the basic version has no additional features such as technical support flows and others. If you are interested in a simple solution without complex customer support capability or want to integrate such system into your existing call center LiveCall could be an interesting choice. It is also one of the cheapest solution on the market with responsive and competent team. We can engage visitors on our website and provide them with simple and effective way to break the boundary between digital and live interactions. It also provides us with a bulletproof solution to route a call to anybody who can pick it up. This way we can be available to our customers as much or as little as we want. Great tool for lead capture and customer service. Provides a pathway for upfront communication with potential clients and business leads. Easy to install plug-in and simple to use for the most part. Easily integrates into any existing customer service interface. Not the most intuitive back end user interface, especially for individuals with limited knowledge in technology. Occasional system failure occurs as well, with little or no explanation, and can have a lasting impact on some features. Dashboard could use updating as well. If looking for an easy solution for lead generation, this is it. Cost effective, user friendly for the most part, and certainly does the job you want it to. Very easy to integrate into almost any business. Great for pro-active client outreach and recruitment, and helps to build a more reliable customer base as you are contacting individuals who have already expressed some interest in your product or service. Able to capture customers with initial interest and bring them in to the product by providing additional information and communication. Excellent tool for lead capture and follow up. "Seamless, Easy to use software." If you would like to have your customers happy because they can reach you easier; and more leads becoming paying customers, then Live Call is the tool you want to use. Simple, easy to use, and excellent customer service from the Live Call team. Almost little to no training is required to learn how to use this software from seasoned CSRs to entry level workers. There are sometimes system outages or call failures that seem to occur from nowhere. It affects the other tools sometimes. Great tool to use for communication among peers and other associates remotely. The program is easy to download and it's very user friendly. I am speaking to interested clients and providing product knowledge as well as collecting contact detail. It’s mostly a phone tool. Meetings are also held via the program. It's excellent! I like the organization of the functions. It makes it to coordinate inbound and outbound calls for lead generation. There are sometimes system outages or call failures that seem to occur out of nowhere. It affects the other tools sometimes. User friendliness should be top priority! It’s not efficient to have IT come in every time there’s been an issue. There should be a reboot function. I am speaking to interested clients and providing product knowledge as well as collecting contact detail. It’s mostly a phone tool. The support itself from the LiveChat team is the most effective part of the toolkit as they help and educate to maximise the potential of every aspect, from their help articles to their own agents on chat right through to the team and beyond. When starting out, it would be good to have a simple list of what to look out for to save sometimes asking a question that could be easily answered if you were aware of tools. "Easy to use and helpful"
It is very easy to use and it is low on cost. It seems to have connectivity issues sometimes. It is an affordable way to do conference calls. The ease of connecting with co-workers all over the globe! Nothing really the connection can be slow at times, but nothing major. Being able to share recruiting ideas globally. I loved that I could learn how to use different software from my own desk. I did not have any complaints. This was east to use to connect to administrators. i used to use it, until we split our desk structure, and now there is less need to communicate with remotes, and more independence. Overall efectivness of the product was valued by all of our staff. we handled business meetings through this app and I really enjoyed it! It works for intended purpose. Its reliable. Its user friendly. It's easily downloadable. It has helped extend recruiting reach and commnication among remote offices. Nothing comes to mind. I dont have anything about product that I dislike. Sorry. * We monitor all LiveCall reviews to prevent fraudulent reviews and keep review quality high. We do not post reviews by company employees or direct competitors. Validated reviews require the user to submit a screenshot of the product containing their user ID, in order to verify a user is an actual user of the product. Hi there! Are you looking to implement a solution like LiveCall?